There is one common issue that we all computer users face is automatically shut down or restart. Sometimes it causes because your laptop battery ran out, or some software issues. Now imagine if you are writing some document in the Word File and suddenly your Macbook or Mac computer gets shut down? 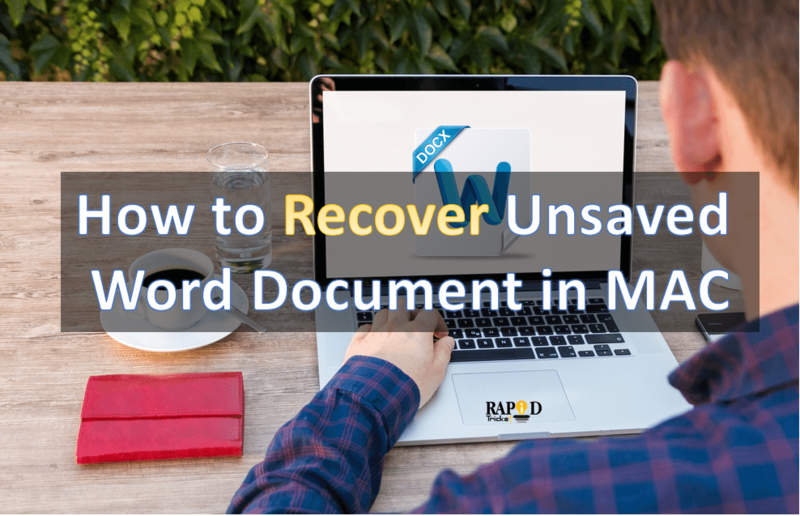 Well in most of the cases it is quite easy to Recover document in word Mac computers. Since Microsoft word has an autosave feature which saves your docs at the time of writing a document. So there is a chance that you can Recover unsaved word document 2007 version of Microsoft Word. First of all close Word window on your Mac computer. Now from the “On the Go” menu, you have to click on Home. Then go to the “Microsoft User Data” folder. Here you have to locate all the files that start with the word “Auto Recovery save of”. Now you have to select the file that you want to recover. Simply rename the file and add the .doc extension at the end of it. Now double click on the file and it will open it Word application. From the menu simply select the “Save As” and then type down a new name and save the doc file in your preferred location. First of all, if you have deleted something you can simply look into the trash folder of your Mac. Once you are in the Trash folder then you have to look for the file. Right-click on the file and then click on Pull back. So that was all for the How to recover an unsaved or lost word document. If you have any further questions do comment below.